We have shortlisted top e-commerce websites in Malaysia more than a year ago, and there is one particular e-commerce site which is getting increasingly popular, especially among the ladies - Hermo. 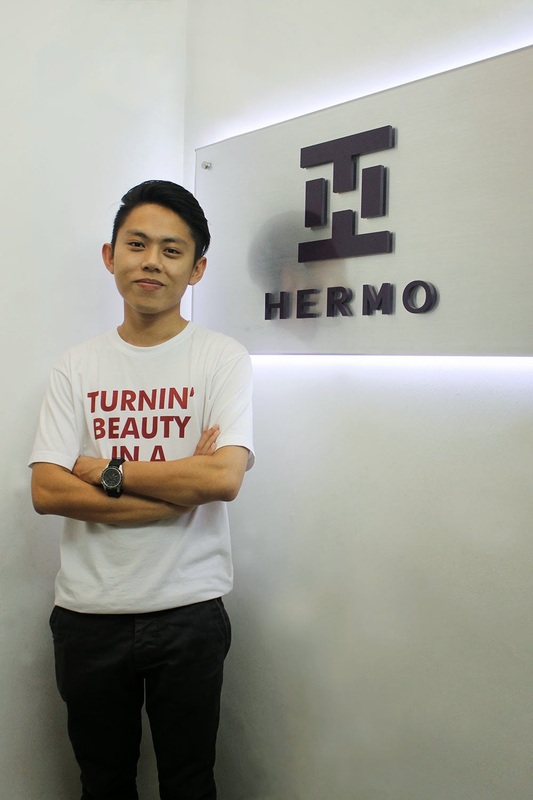 To date, Hermo is the top 500 websites in Malaysia according to Alexa, #397 to be exact (as of early December 2014). According to another third-party web analytics tool, monthly visits to Hermo is estimated at 150K, not bad at all by considering its visitors are mainly female. 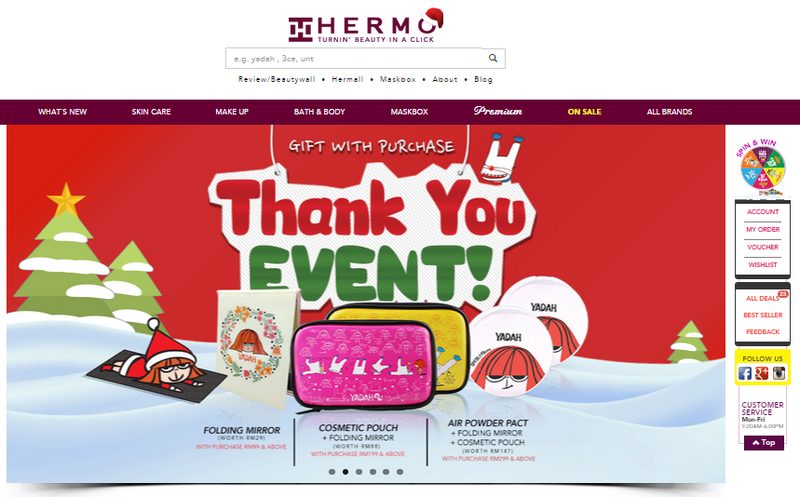 Hermo has certainly set itself as the leading beauty e-commerce site in Malaysia, if not the premier one. Here, we have the opportunity to interview one of its co-founder - Ian Chua. Read on. How and when did you start Hermo? Back then, we were observing beauty online businesses in China, this proven and successful business model in China inspired and prompted us to quit our full time job and venture into this full time. Hermo was started in February 2012, with just an open-source shopping cart system. I remember that we were using all our savings, renting a RM400 flat unit that time. We did gather positive responses during the 3 months trial period, and officially re-launched it in June 2012. How many co-founding partners you have at Hemo? There are 2 founders - myself (Ian Chua) and Chong, who was my classmate during the secondary school. We were selling shoes via Lowyat forum before Hermo was started. Both of us are 25 years old and this is our first venture without any prior experience. We then have Ian Mok who joined us as COO a year after we setup Hermo. He has 10 years experience in business management which is certainly helpful to assist us and optimize our e-commerce business process. Since both of you are guys, why did you start a beauty business? We didn't think about this really, just wanted to try it out when we started Hermo. We did consider though guys mainly buy gadgets or games online while ladies do shop a lot on fashion, bags and beauty products. I remember it was quite awkward when we walk into SaSa stores, doing research, and trying to understand like what's toner or emulsion, haha! For us, beauty is a big untapped market, there are strong online cosmetics brands leveraging on digital and social media channel, which makes perfect match with Hermo to reach out to the consumers. Who, when and how did Hermo attract investment? In 2013 June, after we have bootstrapped for a year, Tan Swee Yeong came in as an angel investor followed by investment from Crystal Horse. On why did the investors are interested in Hermo, I think it is mainly down to our vertical flash sale model (plus lack of vertial big players here) and our team's personality. We did not even really prepare a proper business proposal. I guess angel or VCs out there are investing more on the people who are passionate and have the will to success. In return, what do you expect from the investors besides the fund? There are a lot of issues which you can't extract from the reports. Tan Swee Yeong is a successful entrepreneur and he fully understands that entrepreneurship journey is tough. He always gives us his full support and advice based on his experience. I think it is very important that the investors are hands-on enough (so that he or she understands the business process) and share the same vision with the founders. How do you utilize the investment, and why? Mainly team (people) and stocks. We prefer to invest on customer service over marketing. We have invested the big chunk of our resources on stocks holding as this is the only way to provide good and prompt service to our customers. We have seen many online businesses invest heavily on advertising but face issues on fulfillment. To provide better service on our refund policy, our customer service officers are authorized to decide by themselves whether to refund immediately (in terms of cash or cash balance) to the customers, without the need of approval from their manager. On another note, we insist on building our own website from scratch (not using any open-source software) including back-end management and inventory system. With this, we are able to optimize the algorithms for key business processes, and we always emphasize to the team to maximize the advantage of doing e-commerce by leveraging on the big data. What is the percentage of SKUs you have ready stock? At the moment, we carry over 200 brands and 2,500 SKUs on our website, and 95% of the SKUs we have stocks in our warehouse. As mentioned earlier, this is something that we are quite insistence on. In order to provide prompt delivery service, there is no faster way than stock in. Consumers might start doubting about your business if you don't ship out their orders within 3 days. What are the demographics of your customers? We found out that our customers range from college girls to office ladies, mainly from 18 to 35 years old, 80% of them are Chinese. Even though we are based in Johor, our biggest customer base is KL & Selangor, followed by Penang and East Malaysia. How did you convince your suppliers to go online with Hermo? We don't have any real supplier relationship when we started. In the early days, we even buy over the counter to make up the variety, and resell without any profits. Most brands when we visited them, don't trust e-commerce at all. They are comfortable with their traditional distribution channels, so it is challenging to convince them to go online with us. It was really not easy to gain their trust. Every supplier sign-up is tough, we have to offer value added services, prove to them that online works, and maintain good business relationship with them. Our first brand partner only came in when Hermo was 9 months old, their sales in Hermo has grown to 20 times as of today. How is the growth rate of Hermo, is it profitable now? From day 1 since we launch Hermo, we have achieved yearly 400% growth until today. We are profitable since 2014. We have just launched our Singapore site. It is a straight-forward decision as we are based in Johor Bahru, just a strait away. The other reasons being the advantages of our supply chain, brands partner strategy and talent acquisition. We are also planning to move our R&D and sourcing parts to Singapore when the time is right. Out of Malaysia and Singapore, Southeast Asia no doubt is a big market but too fragmented, which requires huge resources and the risks are bigger too. We prefer to focus on what we are doing now to grow our markets here. If you ask me to pick our potential next destinations, it might be Indonesia and Vietnam. Interested in e-commerce success stories? We have 10 more Malaysian stories here.